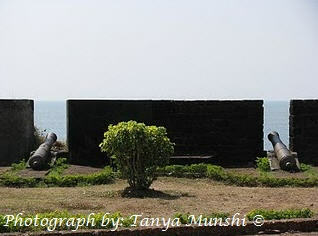 St. Angelo’s Fort was one of the first Portuguese settlements on the Malabar shores. This seashore fort is situated on the cliff next to the Mapila Bay, extending into the Arabian Sea (also referred to as the Lakshadweep Sea). St. Angelo’s Fort has been declared to be of national importance under the Ancient Monuments and Archeological Sites and Remains Act, 1958. 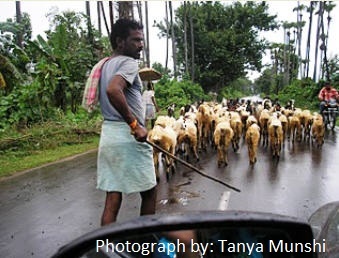 The King of Kolathunad (an ancient monarchy in Kerala, which included present day Kannur and Kasargod) had offered this site to build a factory at Kannur in order to build trading relations with the Portuguese. Vasco Da Gama, the Portuguese navigator arrived to the Malabar Coast first in 1498 AD in order to strengthen the trading relations with the Kolathiri Rajas. In the 1500s, Pedro Alvares Cabral made adjoining installations for the ware house in the factory. By 1501 AD, AD Joao D’ Nova, set up a small factory in Kannur and returned to Portugal. By the second visit in 1502 AD, Vasco Da Gama constructed a palisade with the permission of the Kolathiri Raja and it was completed in 1507 AD and the fort came to be known as St. Angelo. Later, this fort became an important military location to protect the west coast. In 1663 the Dutch captured the fort from the Portuguese and made modifications to the fort. After which, the fort was sold to Ali Rajas of Cannanore in 1772 AD. The fort was captured by the British in 1790 AD and extended the fort to make it an important military fort on the Malabar Coast. The St. Angelo Fort owes its architecture to the Portuguese, Dutch and the British as early as 16th century AD. 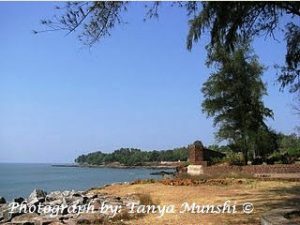 Built with laterite (an iron rich red soil typically found in South India), with high ramparts on a rocky promontory surrounded by the sea on all sides and a dry moat runs from the land from one side of the fort. During the Portuguese period, to isolate the fort from the mainland, a water moat would run from east to west connecting the Arabian Sea to the Mapila Bay. The Portuguese built most of the buildings within the fort like chapels, house of mercy prison, offices and amenities. 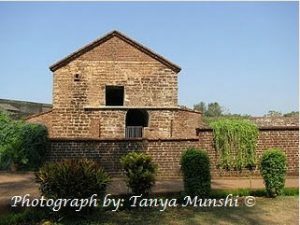 The horse stables and the ammunition house were built by the Dutch within the fort. The main gate towards the land was protected by bastions. The epitaph of Susanna Weyerman, the first wife of the Dutch Governor Godfried Weyerman who died on 28th March 1754 AD recalls the possession by the Dutch of St. Angelo Fort. The canons used by the Portuguese and the British have been affixed on the merinos and bastions of the fort walls pointing toward the sea. Visiting hours at the fort is between 8am to 6pm every day. A visit to the fort in the mornings and early evenings is advised as it can get quite hot during the middays and afternoons. The fort has been very well maintained, with manicured gardens, flower beds and thankfully not littered by the tourists. It is quite a peaceful tourist spot free of noisy people. You can stop by at the ice cream vendors and taste the flavor of local ice creams there. There are no entrance fee charged to enter St. Angelo’s Fort, however you have to pay a minimal parking fee of Rs. 10. Just next to the Fort St. Angelo, you will find a wall protruding from the fort separating the sea with the inland water that forms a natural fishing harbor called Mappila Bay. 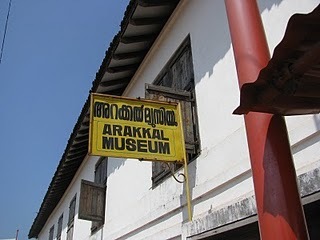 Since this bay connected with the Kolathunadu, (North Malabar) from Lakshwadeep with the other countries, this was a prominent port for trade during the regime of the Kolathiri. Presently, the Mappila Bay has been converted into a modern fishing harbor under the Indo-Norwegian Treaty that was signed during a joint venture between the two nations. You will find the latest and advance fishing equipment being are used here. The St. Angelo Fort is situated next to the DSC Cantonment. The routes are well marked. It is advisable to hire a private vehicle from your hotel or a travel agency to visit this fort as it is located on an off beat track. The fort is around 3kms from the Kannur city.